This past Sunday’s sermon was the conclusion of a series examining our church’s mission, vision, values and virtues. Titled “The Three Most Important Words” it was a great exercise for internalizing our need to commit to the organization or move on — it’s a binary equation in Christianity — you believe or you don’t; you obey or you sin. The world tries to paint a deceptive swath of “gray” suggesting that permissive activities are not about obedience or disobedience, but simply our right to waste the afternoon watching golf on TV. Several of our young men and women responded by bringing friends who have either never been to club or haven’t been to club since last season. Perhaps the funniest part of the evening was our attempt to complete a unified closing ceremony where we formed a circle and the boys tried to lead the girls in our benediction, and then the girls tried to lead the boys in their closing song. Oh well, we had a good laugh, and next week we’ll be back to our normal mode of operation. Keep us in the name of Jesus, Amen! Symbols, emblems, logos, flags, pennants, coats of arms, badges…What do these words have in common? We wave an American flag to show that we are citizens of the United States of America. A policeman shows you his badge to prove he has the authority and responsibility to investigate illegal activities and offer assistance to people in distress. A knight from the medieval times carried a decorated shield for protection and to show who he was, his rank, and whose army he belonged to (his coat of arms or herald). Sailing ships fly “ensigns” or flags and pennants to show who they belong to and to communicate messages over long distances. In business, corporate logos are used to not only name the organization (and distinguish it from all other similar businesses) but to tell us something about their products, services or “brand”. These images are carefully designed to convey meaning and to influence our feelings about that organization. Sometimes this is very subtle – like how certain shapes or colors are selected, and sometimes it is very obvious like using the shape of the product in the logo design. The open Bible for Christ is the Word (Jn 1:1) and whom we serve! As leaders and participants in the program, we ought to remember the meaning of these symbols and what the remind us to do or how to live our lives. In our particular unit, we have our own logo design to distinguish our unit from all other CSB units. In the background is a trefoil or fleur-de-lis which symbolizes the North point on a compass or map. It always points up and indicates true North. The three parts of the trefoil remind the scout of the three parts of the Scout Oath (duty to God, duty to others, duty to self). The two stars represent truth and knowledge. The eagle and shield stand for freedom and a Scout’s readiness to defend that freedom. The scroll bearing the Scout motto is turned up at the ends as a reminder that a Scout smiles as he does his duty. The knot at the bottom of the scroll serves as a reminder of the Scout slogan, Do a Good Turn Daily. Various awards, medals and symbols of achievement have their own meanings, as well. When you discover a logo, icon, or symbol within the program, ask a leader about it’s meaning and function. Chances are that understanding the meaning behind the image will give you insight into the program and what we’re all trying to learn. 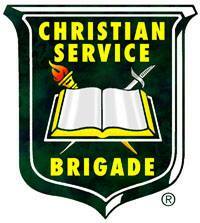 The Christian Service Brigade (CSB) motto is “Bright and Keen for Christ”. 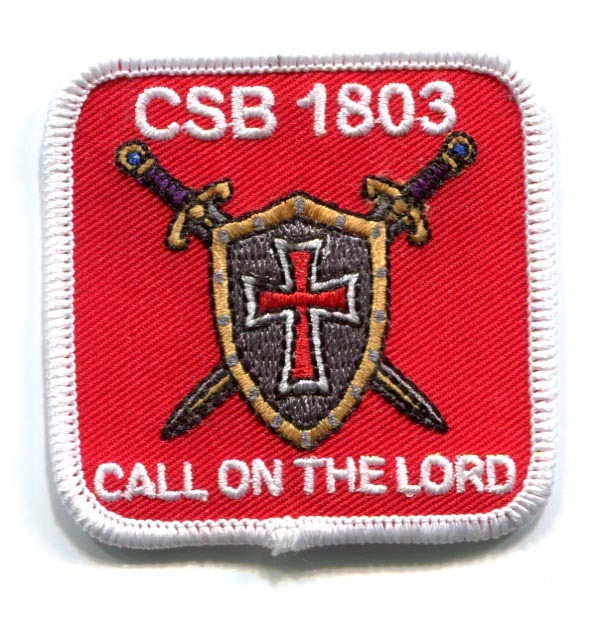 At face value, I would suppose that CSB members are passionate (on fire or “brightly glowing”) and engaged in learning about Christ’s own ministry and His redemptive death and resurrection that provides a means of salvation to those who believe. So is this initial impression correct and complete? How do I live this motto, pledge or promise in my daily life? What does it look like to live as a man who is bright and keen for Christ? I’ve always found that authors choose words very specifically since they carry meaning. I went to several online dictionaries and looked at the variations of meaning for “bright” and “keen”. 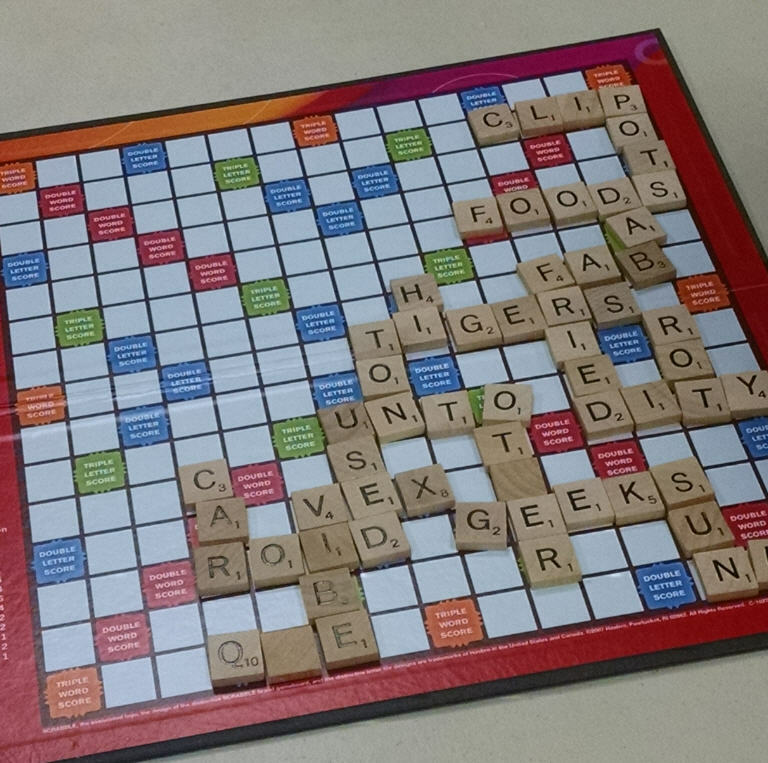 I also looked at synonyms – words that have similar or parallel meaning. A person who is “bright for Christ” would be someone who is illuminated (producing light, figuratively) by their learning about Christ. They are lively and cheerful because the message of Christ delivered hope, love and a means of reconciling ourselves with God by His grace and willingness to accept Christ’s death and resurrection as a mechanism to cover our rebellion and sin. Our consistent pursuit of this knowledge, documented in the Bible produces intelligence and cleverness about spiritual things – ways to live our lives in harmony instead of conflict with God. Because of Christ’s ministry to the world brings us such great hope and care for others, we want to shine, beam, broadcast that message to everyone around us. We don’t want anyone to miss out on that wonderful account of what Christ accomplished on our behalf – while we were still sinners and undeserving of such love. 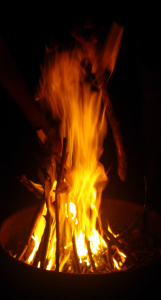 When we really work at modeling (following, imitating) Christ in our lives we’d be noticed by others – our “brightness” calls attention to those who are still in the darkness of their own despair and suffering. A person who is “keen for Christ” would demonstrate a high level of enthusiasm, be finely focused, and be hungry to learn more about Christ – His ministry, personality, leadership style, and more. I don’t think I’ve got the “whole” answer to what it means to be “Bright and Keen for Christ” but I do think this is a fair start. Being bright and keen for Christ is something that we have to work at and be dedicated to pursuing. I don’t think it is something we turn on and off like a light switch (being Christ-like on Sunday mornings and at our CSB meetings) but something that builds over time if we make it a priority in our lives. Do you think you live this motto consistently from day to day? If yes, how do you know? If no, how come? 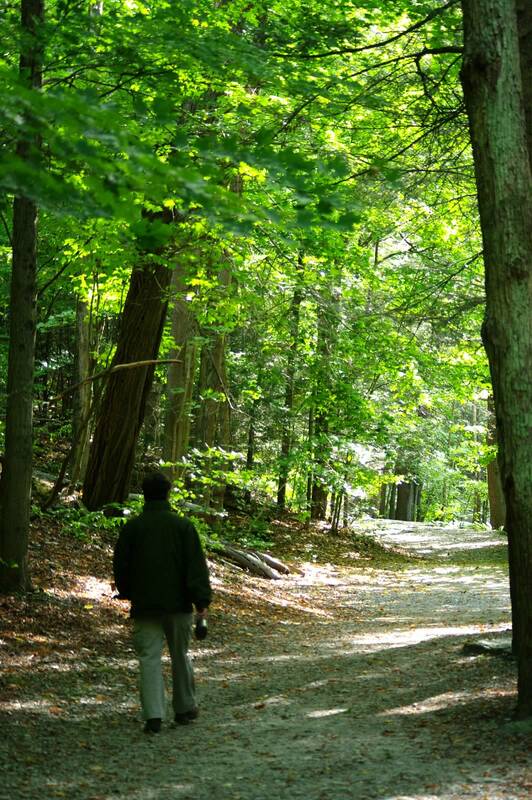 Do you think about being “bright and keen” each morning, and how you can be more like Christ this day? Have you ever had a friend or stranger ask you about your faith, or cheerfulness, or self-less service to others (or any lifestyle that might mark you as being bright and keen for Christ)? If yes, what was that like? Last night’s meeting was action packed. Our focus for the evening was on teamwork and learning to work together cooperatively. Following our opening ceremony there was the usual time for games including an indoor version of capture the flag led by the Junior Rangers. Next, we had the boys settle down for a brief remembrance time where we talked about Chief Ranger Dave’s untimely death in the hospital. The boys handled the news well, and the boys shared their recollection of Dave’s ministry to them. We also read a letter of what Dave “might have said” if he had known he had to say farewell one last time. Our activities for the evening consisted of three special team challenges designed to help the boys recognize the value of communication, enthusiasm, and leadership within small groups. 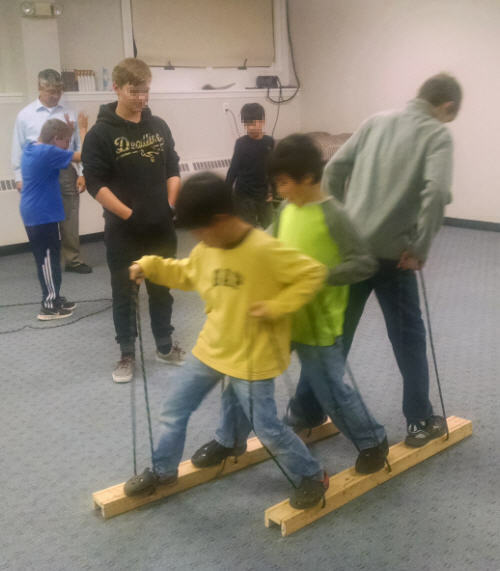 “Skis built for three” is a physically active challenge where three boys step up on a pair of skis and must walk in unison to get across the room in the shortest possible time. The challenge is further complicated halfway to their goal by turning one of the boys to face backwards and they have to compensate for calling out cadence based on “left and right” since some of their team are backwards. Other variations call for blindfolds, not allowing the boys to speak, having them walk backwards, etc. “Two Rope Circles” is a challenge for boys to work together with strong communication and planning skills. The rules are simple: the team can only move when they’re inside the boundary of one or the other rope circles and they must work together to figure out the best and fastest way to cross the room as a team. 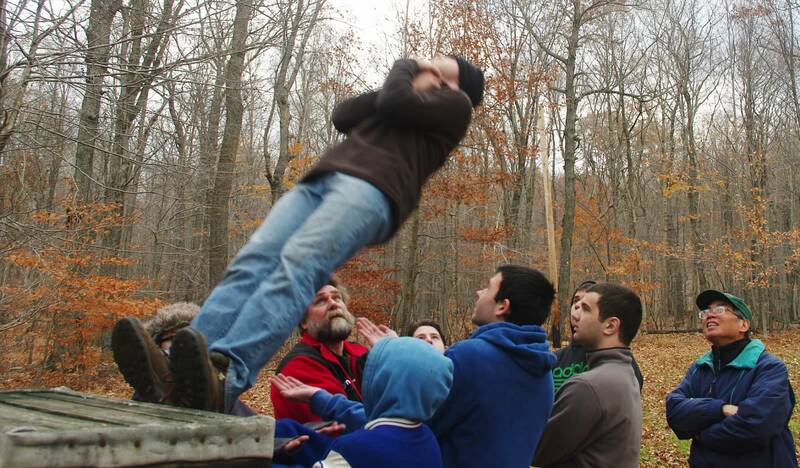 The boys begin standing within the boundaries of a rope circle and holding a second rope in their hands. They could toss the second rope circle and jump from one to the other, but they need to find a way to bring the first rope along in leap-frog fashion. Other methods are fine, too. Sometimes the boys realize that they can simply pick up the rope and walk directly across the room as long as they’re still “inside” the circle! “Hazardous Waste Crawl” is a game where a pretend shipment of “hazardous waste” must be moved across the room without dropping it, touching it or getting too close to it. Equipment may include an inverted frisbee, ball and ropes, but we simply cut down an old cardboard box and used a pee-wee football. The carry tray has four (or more, or less) strings at each corner that are roughly 24-36 inches long. 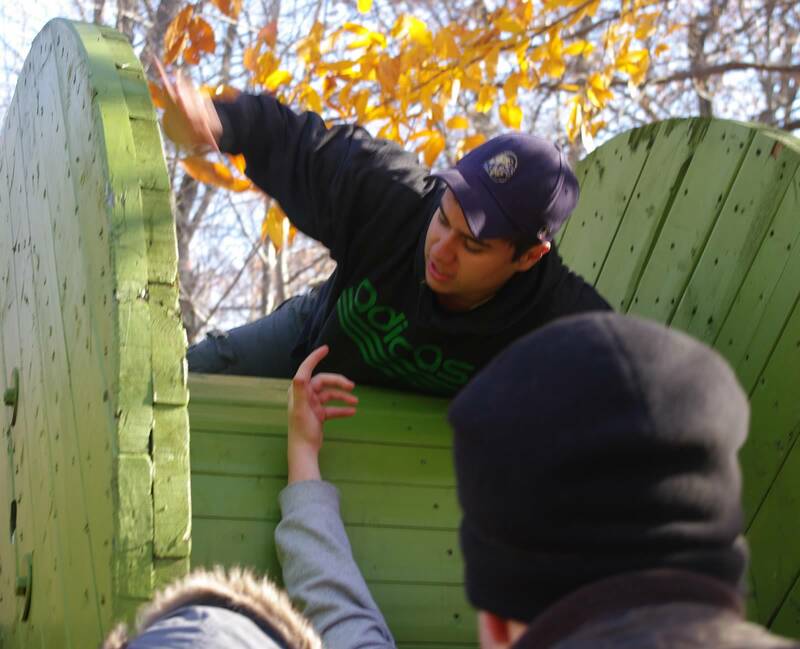 The teams must use the strings to lift the load (and keep a “safe” distance from the load at all times). Working together, they must carefully move their cargo across the room without dropping it. 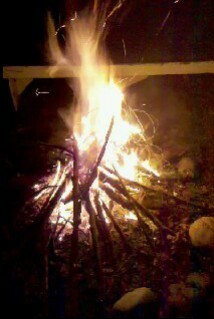 This takes precision, communication and teamwork. It can be easy to drop the load so coaches help the team stay positive to avoid frustration overload. Following the actives, we formed a story circle and discussed teamwork as a concept found in the Bible — see associated devotional link for that teamwork discussion (Click HERE). 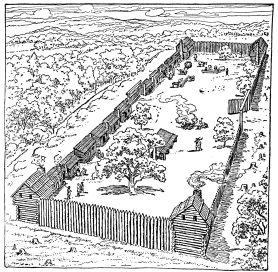 At our Stockade meetings, we “build the stockade” by forming two lines that represent the walls of a fort. Each group of boys and men are called a “post”. 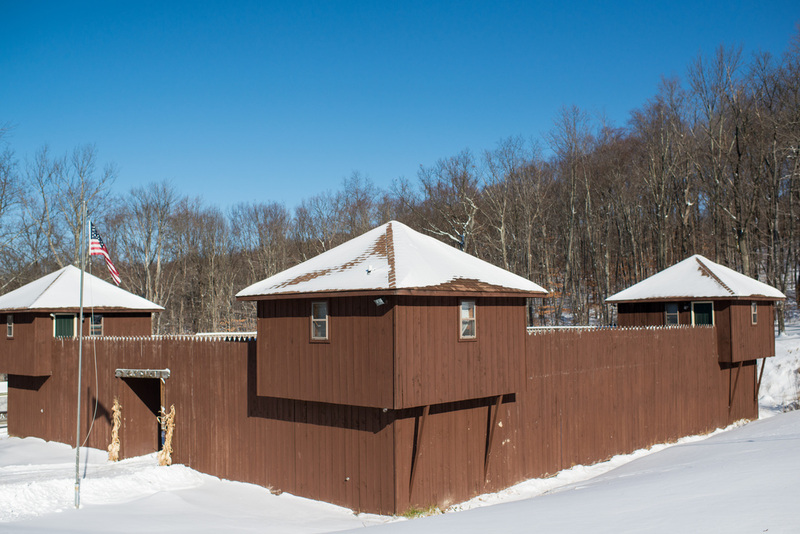 We currently have two posts in our stockade – North and South. Each post has several boys (typically six to eight). As a group, when these boys work together, they can accomplish more than if they worked by themselves? How come? 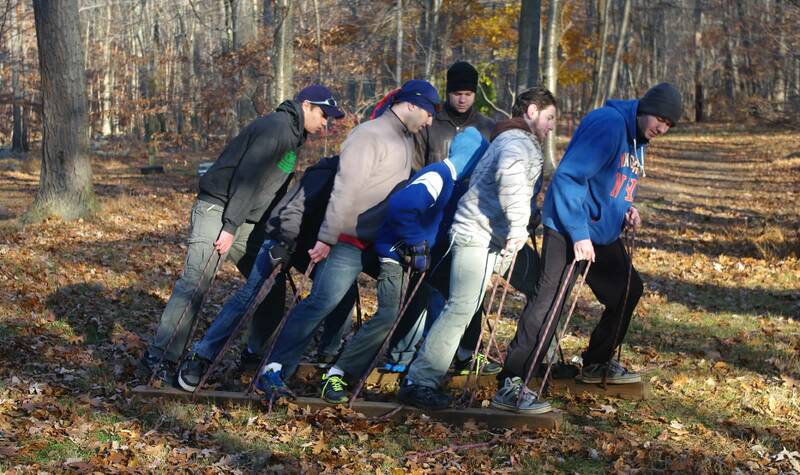 Each has skills and talents that the others may not have – where one boy really excels, he can help lead the group. However, teams work best when there’s agreement over a shared goal, good communication and leadership (a communicated plan to get stuff done). In the Bible we see references to getting along with other people, working together, etc. Let’s take a closer look at a few examples. What do you think it means when it says “don’t be selfish” and “don’t try to impress others”? Why would that be important to teamwork? Are you familiar with the word “humble” and how it helps us be part of a team? Do you think that being humble means going along with the opinions of others even if you disagree? Why/Why not? Is it possible to stand up for what you think is right and still be humble? By getting rid of selfishness do you think it also means we should learn to trust our teammates? Selfishness means we focus on our own needs before worrying about anyone else. This takes a team and breaks it into individuals – each one doing their own thing for themselves – and that loses all the power of a team to get big things done quickly and efficiently. Teamwork doesn’t depend on large numbers of people, does it? Would you say it’s more important to work together cooperatively than just to have many people on the team? What happens when we try to do things on our own and they don’t go as we had planned? Who picks us up? Hebrews 10:24-25 (NLT) – Let us think of ways to motivate one another to acts of love and good works. And let us not neglect our meeting together, as some people do, but encourage one another, especially now that the day of his return is drawing near. 1 Thessalonians 5:11 (NLT) – So encourage each other and build each other up, just as you are already doing. Romans 12:8 (NLT) – If your gift is to encourage others, be encouraging. If it is giving, give generously. If God has given you leadership ability, take the responsibility seriously. And if you have a gift for showing kindness to others, do it gladly. 1 Peter 3:8 (NLT) – Finally, all of you should be of one mind. Sympathize with each other. Love each other as brothers and sisters. Be tenderhearted, and keep a humble attitude. Romans 12:16 (NLT) – Live in harmony with each other. Don’t be too proud to enjoy the company of ordinary people. And don’t think you know it all! as teammates, we should encourage each other to do our best, be our best and have joy in our hearts. Dave loved serving the community and the boys from our church. We will miss him greatly. The arrangements for Dave Fagerlund’s visiting and funeral are as follows. Visiting will take place on Friday, October 17 from 2:00 p.m.to 4:00 p.m. and from 7:00 p.m. to 9:00 p.m. at the Barrett Funeral Home located at 148 Dean Drive in Tenafly, NJ 07670. The funeral service is planned for Saturday, October 18 at 10:00 a.m. at the Northern Valley Evangelical Free Church located at 75 Stivers Street in Cresskill, NJ 07626. Internment will follow the funeral service at the George Washington Memorial Park in Paramus, NJ. Cards and expressions of love can be sent to the family at 412 Orchard Street in Englewood, NJ 07631. In lieu of flowers, the family has requested that memorial gifts be sent to Northern Valley Evangelical Free Church for their Building Fund. The address is the same as the above. 2 Corinthians 5:6-8 – So we are always of good courage. We know that while we are at home in the body we are away from the Lord, for we walk by faith, not by sight. Yes, we are of good courage, and we would rather be away from the body and at home with the Lord.